Find answers to frequently asked questions about common knee injuries, knee pain, ACL surgery, knee replacement and other orthopedic conditions. If you have additional questions about our orthopedic services, please call 502-212-2663 for more information. 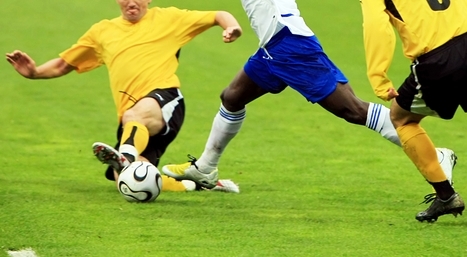 What are the most common sports injuries that affect the knee that need surgery? The two most common knee injuries that occur after a sports injury that need surgery are a meniscal tear and an ACL tear. Dr. Grossfeld has a lot of experience with ACL surgery, ACL reconstruction and meniscus surgery. What are the main causes of the ACL injury? There is much scientic debate over the cause of an ACL injury. Please see my article Can the ACL Injury be Prevented? Yes it Can! for a more comprehensive explanation on the cause of ACL injury and tears. In order for the anterior cruciate ligament (ACL) to be torn, the tibia (lower leg bone / shin) must shift forward to transect or rupture the ligament. Hyper extension of the knee causes a similar event. The ACL injury typically occurs in the female athlete with a quadriceps passive event. This happens when a female athlete is running and suddenly stops or changes directions. This can also occur when landing from a jump such as landing from a rebound in basketball. Most men experience an ACL injury with a quad active event such as being clipped in a blindsided fashion. The common example is a football player who is tackled when running down the field. I am a serious athlete with an ACL injury. Will I ever be able to compete again after ACL surgery? The answer is yes but most people do not compete at the same competitive level. Only 45 to 75 percent of athletes will return to the same level of competitive play following an ACL injury depending on what scientific study is reviewed. The meniscus is the shock absorber that sits between the two bones in the knee joint. There are two of them. One is located on the inner side (medially) and one is situated on the outer half of the knee (laterally). They function as two shock absorbers in the knee. The menisci can get torn. When they tear it usually affects the inner rim of the meniscus. Symptoms of a meniscus tear are typically: swelling, sharp pain located near the joint line and clicking. How can I tell if my child has adolescent anterior knee pain syndrome? Adolecent anterior knee pain syndrome is typically seen in females with flat feet, knocked (valgus) knees and hyper mobile kneecaps. Most girls will complain of a diffuse dull, achy pain that is located in the front of the knee joint. Commonly it involves both knees. The pain is intensified with climbing up and down stairs, sitting with the knees in a flexed position and jumping. Treatment is most commonly completed with arch supports that are placed in the shoes, a special knee brace called a patella tracking orthosis and physical therapy to help strengthen the hip and knee muscles. Somebody told me I might need to consider arthroplasty. What is it? Arthroplasty is also known as joint replacement. The joints that are commonly replaced are located in the knee and hip. Less commonly arthroplasty is performed in the shoulder and ankle. Arthroplasty is performed for people with advanced arthritis. Should I get a referral to an Orthopedic surgeon if I hear popping sounds in my knee? Knee popping is common. As long as it is not associated with pain no referral is needed. Persistent pain and swelling associated with popping could be a sign of a more serious condition such as a meniscal tear. If you are experiencing knee pain and swelling with the popping in your knee, it is advisable that you seek medical treatment with an orthopedic surgeon. How many knee surgeries does Dr. Grossfeld perform a year? In 2011, Dr. Grossfeld performed 178 knee cases. This video provides an overview of ACL injury, ACL tear, ACL surgery, ACL reconstruction, treatment for torn anterior cruciate ligament and prevention of ACL injury. Interested in more information about common knee injuries, ACL injury, ACL surgery, knee arthritis, knee replacement surgery, knee arthroscopy and more? Check out Dr. Grossfeld’s orthopedic and sports medicine blog for more information.